Thin Concrete Veneer Pavers are the new "it" product to save you time and stress that comes with a cracked patio, driveway or pool surface that has become unsightly. 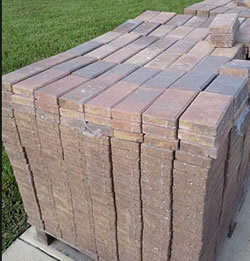 Why remove tons of concrete when there are thin brick pavers that can easily be placed on your unsightly surfaces. 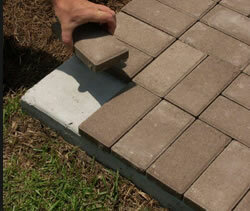 Thin pavers over a concrete slab can be installed several ways, depending on what the surface is being used for. The user can install using sand-set methods, or thin-set applications when there is vehicular usage. Installing pavers over concrete has its limitations because of height issues. The user must first establish before laying pavers over concrete patios if there will be an issue entering a structure because of height. A standard concrete or stone paver generally has a minimum thickness with bedding material of approximately 3 inches, whereby using a Thin veneer paver, the user has more room to work with, although all thresholds and any entry's must be addressed for elevation issues. When using thin brick pavers over old swimming pool surfaces or patios, they must be set in mortar or some other type of mortar based product. This is generally more expensive then removing existing concrete, placing class 2 base down for new sub-surface and installing concrete interlocking pavers. 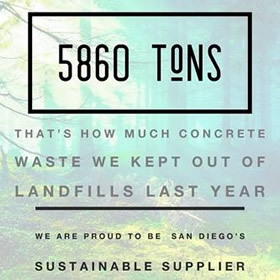 But installing pavers over concrete is made easier now with the concrete thin paver manufactured and distributed exclusively by ALL Masonry & Landscape Supply. Pavers over concrete slabs can be accomplished by installing the thin concrete paver on the perimeter with mortar or thin-set and then screeding base sand inside the perimeter and then installing the thin concrete pavers over the sand base. Using thin pavers over unsightly surfaces is a very cost effective method over removing existing concrete, however the user must investigate the height issues, draining issues and weight issues. 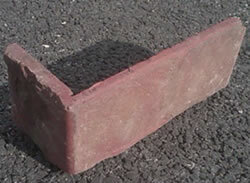 Thin brick pavers come in many different colors and their durability and color ranges are superior to thin concrete pavers, although the user must understand that they are two completely different products, although there end use is the same. Thin pavers over concrete that are made from concrete can often be sand set with the perimeter pieces locked in with the use of a cementitious material and our concrete pavers with locking hubs work great in sand setting and keeping under 2 inches of added height. On the other hand, using Thin brick pavers that are made from clay rather than concrete are generally 7/16 to 3/4 inch in thickness and must be applied with a mortar base which is time consuming and expensive.